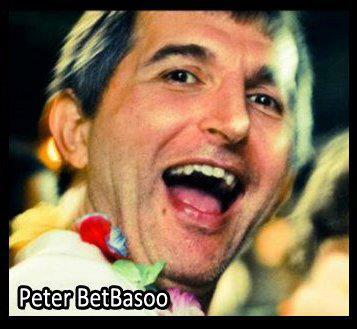 Peter BetBasoo began dancing at the age of 9 in an Assyrian folk dance group in Baghdad. After immigrating to the United States in 1974 he continued his dancing, joining an international folk dance group in Chicago (1991-1997). He taught international folk dances from 1994 to 1997. During this period he also danced American Ballroom, Latin and Cajun dances. He began dancing Lindy Hop on October 20, 1997. He studied the Rhythm Hot Shots, Frankie Manning and Ryan Francois. He is renowned for his distinctive style, musical interpretation and mastery of leading, as well as his technical understanding of Lindy Hop and effective teaching method. Peter Began dancing Argentine Tango in 2000 and specializes in Nuevo Tango. In 2002 he founded the Boogie Drop Dance Group in Chicago, which specialized in Lindy Hop, Authentic Jazz and Argentine Tango, as well as the fusion of Lindy Hop and Tango (Swango). Peter has taught Lindy Hop throughout the U.S. He has taught at the Herrang Dance Camp with Ursula Ledergerber. He taught at the Lindy Hop Argentina International Festival in 2009 and 2010 with Ursula Ledergerber, in 2011 with Lucy Engle, and in 2012 with Sharon Davis. He taught at the Brazil Swingout Extravaganza in 2011 and 2012.